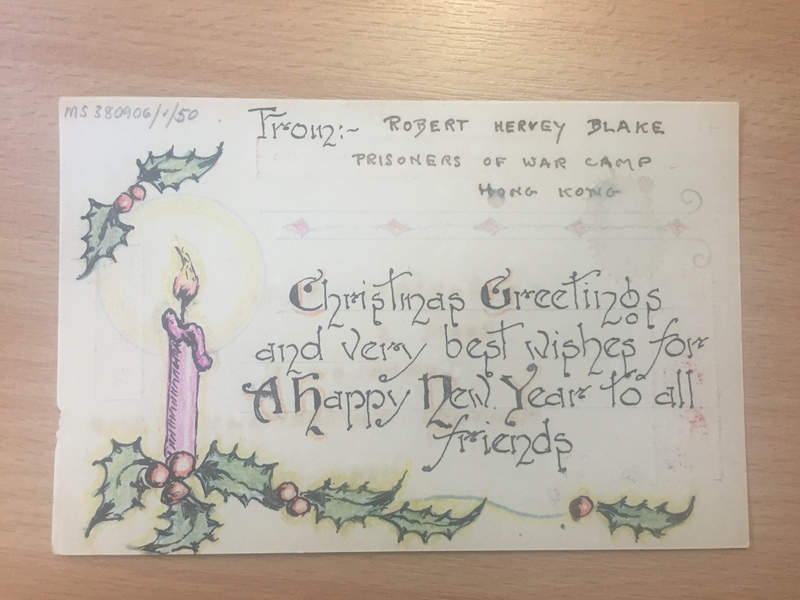 Despite not having much to celebrate during their time in captivity, civilian inmates of Hong Kong’s Japanese-controlled internment camps during the Second World War were determined to keep up the tradition of sending each other Christmas cards. 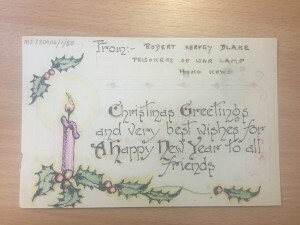 Using what little resources they had available prisoners painstakingly hand-decorated postcards with festive greetings to send to fellow inmates. The examples pictured above were sent to Charles Collingwood Roberts during his time at Stanley Internment Camp in Hong Kong. 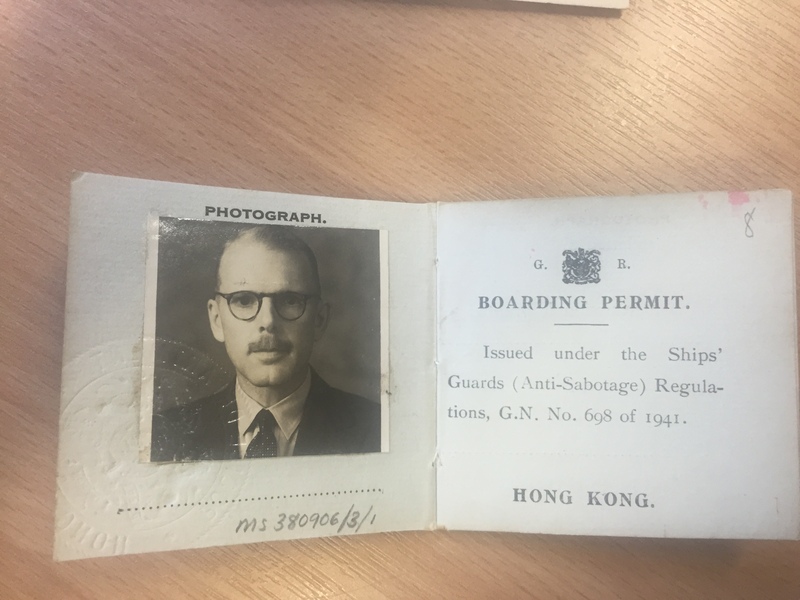 Working as Taipan of John Swire & Sons heading up operations in Hong Kong at the time of his capture, CC Roberts, as he was known, spent four years at the camp between 1941 and 1945. 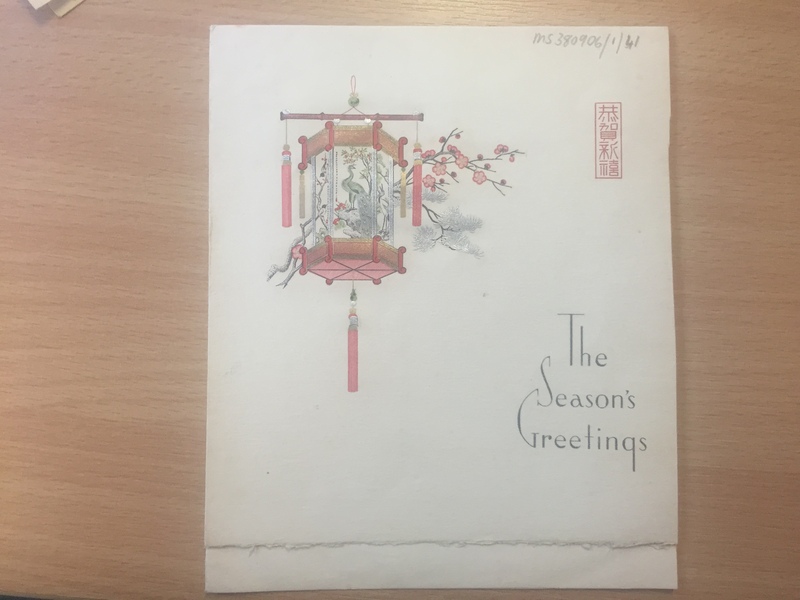 Among his papers which have survived and are held at SOAS are several examples of Christmas cards created and sent to him by fellow internees. Around 2,800 westerners were held at Stanley following the occupation of Hong Kong by Japan. Located on the southern end of Hong Kong Island, it was used by the Japanese imperial forces to hold non-Chinese enemy nationals after their victory in the Battle of Hong Kong, a battle in the Pacific campaign of World War II. 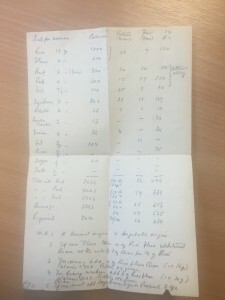 Conditions in the camp were horrendous. Quarters were overcrowded and food was scarce, particularly meat and vegetables. 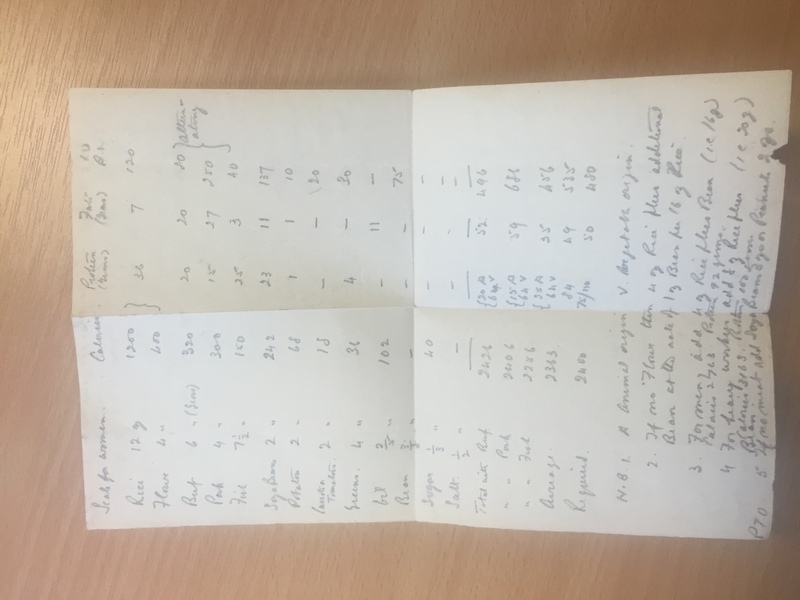 Among Robert’s papers has survived a scribbled calculation of dietary needs for women and men, though in reality calorie and protein intake was well below what it should have been. 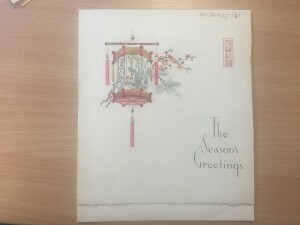 And yet, despite all the hardship, somehow people found the energy, and, crucially, the resources to continue with the tradition of sending Christmas cards. 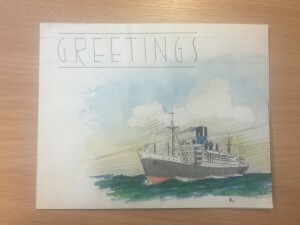 Indicative perhaps of a desire to remember the traditions of home and keep spirits up in times of adversity, the cards reveal a great deal about the strength of spirit of those held captive.